Managed Services are any variety of outsourced services for a small business’ day-to-day technology and IT needs. A managed services contract can range from managing small technical needs, such as filtering email, to outsourcing all of a businesses’ technology needs. Essentially, a Managed Services Provider (MSP) can either supplement an existing IT department or can become a small business’ IT department. As processes and systems become simpler for the end user (i.e. a small business), those same processes and systems become more complex on the back end. When technology works as it should, it seems simple and seamless. However, it is not until systems fail until the complexities of small business technology are appreciated. Managed Services combat technology trouble through monitoring and expertise. Before many problems have the chance to emerge, they are detected, planned for and prevented through the components of a managed services plan. With a dedicated technology partner, a small business can prevent troubles with upgrades, software changes, growing pains, all adding to up time and productivity. An MSP’s job is to be up to date and prepared for the latest security threats from cyber criminals and the security practices imposed by regulatory agencies. As cyber criminals become increasingly sophisticated with their strategies, small businesses need to have a strong defense. MSP researches and complies with industry standards for the storing, transferring, and protection of data. The repercussions of a data breach and unmet compliance are detrimental to small business; first by means of financial burdens (whether it be stolen funds or lost to fines,) and secondly to the damage of reputation. Working with an MSP secures business data and transactions so that small businesses can rest assured that their data, and that of their clients, is safe. Actually, budgeting for IT can be very difficult for businesses due to the unpredictable nature of technology. One month, minor computer repairs may be needed, while the following month, an entire software upgrade is needed. Managed Services challenge the unpredictability problem. While there will still be room for some variants, Managed Service options work to bring businesses low, fixed, and predictable monthly bills. With the addition of hardware and software refresh plans, small businesses can stay up to date with the latest technology, without a great expense. Hardware as a Service (HaaS), am managed service offering, allows businesses to pay a fixed monthly price in exchange for new hardware and software every 36 months; flat-lining IT budgets. Growth is a top goal for most small businesses, and growth brings more technology demands. How many licenses does a business need, how many work stations, how many mailboxes will be needed? With Managed Services, businesses ‘pay as you grow’ and this lessens the ‘what ifs’ and ‘how many’s’ that businesses are faced with. Because of hosting options, adding additional users is simple and affordable. Managed Services allow small businesses to stop paying for unused services, pay for what they need, and have the ability to add more when demand is met. IT solutions are not one size fits all because each business is unique in their needs. 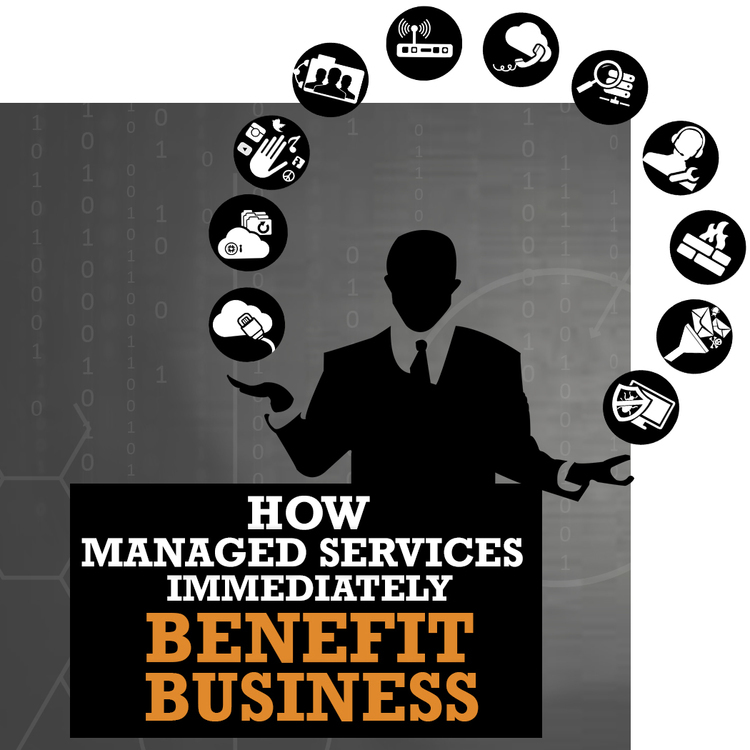 A managed service provider gets to know a business and works to tailor a plan to individual demands and needs. If a business generates a lot of data, then their backups need to be done more frequently than those that do not generate a lot of data. If bandwidth usage is an issue, then solutions to limit congestion will be given by a managed service provider. The great thing about using a managed service provider is not having to outsource all of IT needs to them. For example, if a business has an employee that is great at repairing computers, then outsourcing work that is out of their scope will help them from being overwhelmed, and help the entire business be more productive. Learn about the Managed Services that Networks Unlimited offers here.